Chop the sweet potatoes into cubes and roast in the oven for 30 minutes at 375° until form tender. 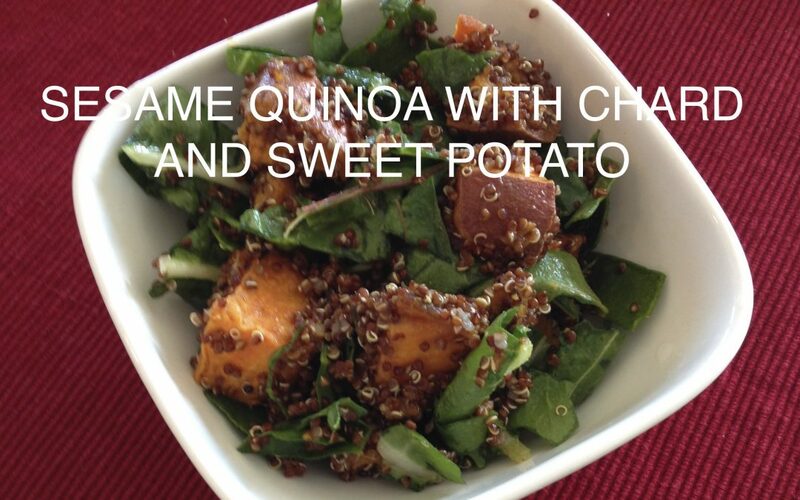 When the quinoa and sweet potatoes are cooked, cut the potatoes into bite size pieces and toss them into the quinoa. Add the chard, sesame oil and lime juice, season with salt and pepper and enjoy!